Loving animal print, and bold jewelry for the upcoming Spring 2012! I am so excited to start trying new looks. 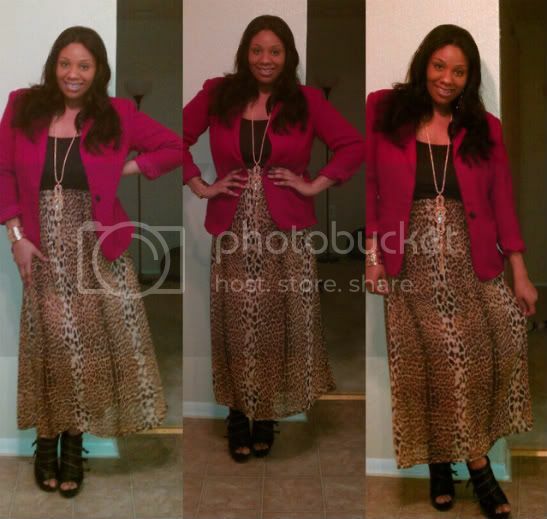 This cheetah print skirt was a big risk for me. This skirt is something that I saw in the store and knew I had to have it. I wasn't quite sure when I was going to wear it, however I chose to wear it to DC fashion week. I got so many compliments on it, and I can't wait to mix and match the skirt with different clothing items for the Spring! Have you ever try some nice warm leather coats women or the new style fox fur jackets for women can be great to that!